It’s not uncommon for clients to call me with an idea for a new work of art, slogan, logo, scientific invention, etc. This is appropriate and, more importantly, safe. As their retained attorney, this information is privileged, and I don’t repeat it at all, ever, unless or until the client brings it up again, or something happens in the public sphere obviating the need for privacy. That’s just good lawyering. This…can be a problem. Disclosure of intellectual property should only happen under controlled circumstances. Broadly speaking, sharing your intellectual property without a plan or any forethought means you are not caring for yourself, your company, your employees, or your dependents. For patents, whether utilitarian or ornamental, you should be able to prove when you developed the invention, typically through notes or internal memos. Once disclosed, the clock is running and you have a year to file for a patent. This is known more commonly as the “one-year grace period” or the “one-year rule.” Disclosure occurs with any public use of the invention including sale or offer of sale, as well as any description of the invention in a published document in any country. For trademarks, you can claim a common law mark as soon as you begin using it in commerce (e.g., a sale to a member of the public). This protects your common law use only in the geographic area where sales have been made. For national protection, first use should be accompanied by a registration of your mark with the federal government. First use of a trademark is typically proven with brochures, signed and dated purchase orders, screenshots from a website (e.g., using archive.org’s “Wayback Machine”), and press releases. If the trademark is a catchy phrase or slogan, though, any disclosure prior to registration makes you vulnerable to losing it. For copyrights, remember that ideas are not protectable. If you have a great idea for a sculpture, movie, poem, etc., then you need to express that idea in the form of a sculpture, movie, poem, etc. Even then, a competing artist could take the same idea and create his or her own work of art—the marketplace decides which is better. 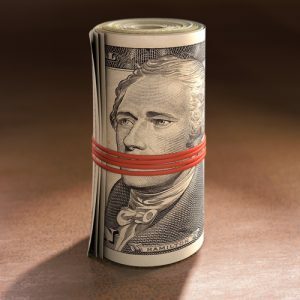 I could author a musical about Hamilton, and Lin would probably welcome the competition: let the market decide! This can be a vexing reality for creative artists, especially those submitting various works to various opportunities; distribution of your artwork means not only increased opportunity, but exposure to competition and outright theft, as well. It’s the nature of the beast. Should the day come when your artwork is infringed, the best and cheapest insurance policy will be a copyright registration—register those artistic ideas with the federal government. Trade secrets are, essentially, ideas. The expression of those ideas, as mentioned above, is protectable by registering a patent (for inventions) or copyright (for art). The only way to protect ideas themselves is through contract, usually a non-disclosure or confidentiality agreement (an “NDA”). NDAs should be presented to employees, interns, independent contractors, certain vendors, prospective business partners, and potential investors. Typically, NDAs are incorporated into larger employment agreements, whether to secure a client list or sketches of the next “Barbie” phenomenon. In conclusion, just like Biff Loman shouldn’t whistle in the elevator—neither should you speak about your great business and creative ideas in any public space. This can be especially difficult for startups sharing space with other startups. In addition to government registrations and contracts, the best solutions for maintaining privacy of your intellectual property involves private computer networks, encrypted emails, and password-protected documents. As always, feel free to contact me at davefaux@dhf-law.net if you have any questions. Your specific circumstances will likely yield specific solutions.